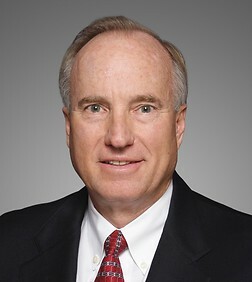 Brent Liljestrom is a partner in the Finance and Bankruptcy and Real Estate, Land Use and Environmental Practice Groups in the firm’s Orange County office. Mr. Liljestrom's areas of specialization include all aspects of commercial lending, real property finance, real property purchase and sale transactions, loan workouts and restructurings. The primary emphasis of his practice is the representation of construction and permanent institutional lenders in real estate secured loan transactions, including those involving portfolios of multiple properties. He also has extensive experience representing institutional lenders as credit-enhancers and purchasers of both taxable and tax-exempt bonds, including affordable housing bonds and industrial revenue bonds. Mr. Liljestrom represents buyers and sellers of commercial and industrial properties (including several foreign investors), as well as national banks, local and regional banks and other lenders. Mr. Liljestrom has been practicing with Sheppard Mullin since 1981. Representation of commercial bank as Administrative Agent/Lead Lender of $45,000,000 syndicated credit to public homebuilder joint venture to finance construction of 360 homes in Northern California. Representation of commercial bank as issuer of credit-enhancement letters of credit to support bond issue for construction of multiple building seniors apartments in Northern California. Representation of commercial bank on loan workout/restructure of seven different facilities (including a California Bond facility, an Arizona Bond facility and various lines of credit) secured by five commercial properties located in California and Arizona. Representation of commercial bank as Administrative Agent/Lead Lender in syndicated $44,340,000 Tax-exempt Revenue Bond issue to finance construction of facilities for private high school in Orange County, California. Representation of commercial bank on construction loan converting to term loan for mixed use residential condominium/retail center in San Diego County. Representation of commercial bank on $50,000,000 borrowing-base real estate facility secured by a portfolio of several properties. Representation of life insurance company on $205,000,000 term loan for office tower/parking structure project in the State of Washington.